There is a reason why this Norman helmet saw wide-spread use over the course of history. The Nasal Helmet might look simple, but it is that very-same simplicity that makes this helmet so brutally effective, as it offers great protection at little cost. 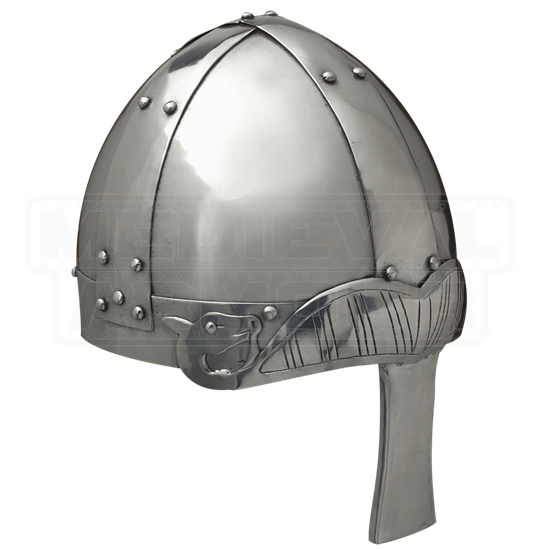 This helmet features a rounded crown that has been riveted and reinforced with additional metal bands across its surface. The helms shape is a purposeful design that helps in diverting blows to the head off to one side, ensuring that direct blows rarely fall exactly on top of the head. 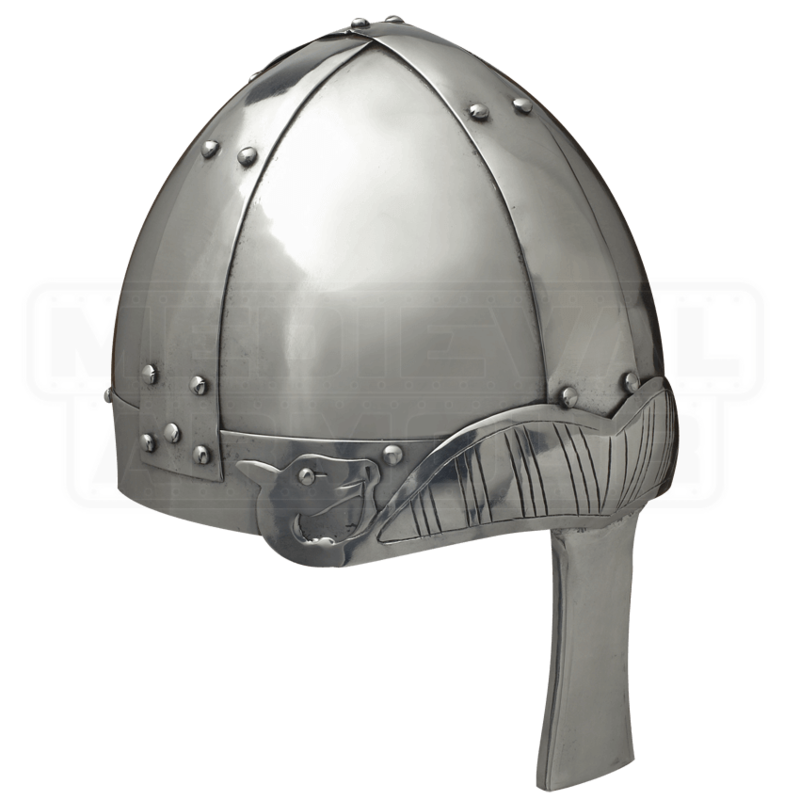 This particular helmet features an exaggerated nose guard that adds protection to the face and eyes, while also featuring a particularly Viking-styled decoration along the front of the helm, similar in nature to the Vikings dragon-headed long ships. This helmet is made from strong 14 gauge steel, and it features an adjustable leather liner as well as leather chin straps for secure wearing. If you want pure protection for your noggin but do not want to suffocate yourself in a larger helmet, than this Nasal Helmet is just the piece for you. And when you are not wearing it, polish it up and mount it in your home, where others can admire it as a piece of history.